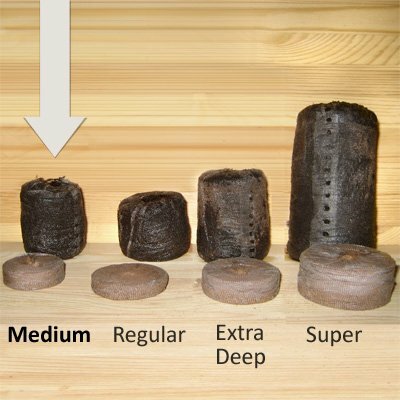 Jiffy Pellets are made of sterile peat growing medium, enclosed in a decomposable net. This net biodegrades in garden soil or compost, but it retains strength through the critical seedling and transplant stages. No pot is needed, and the growing medium offers great aeration and water retention. Speed and degree of decomposition will vary with soil or compost conditions. Each 1/4" thick compressed Jiffy peat pellet expands to a 1-1/2" diameter (36 mm) x 1-5/8" tall cylinder. Fit more pellets per sheet! REDUCE TRANSPLANT SHOCK: Plant pellets right into the ground.